Elephants have been hunted to the brink of extinction by hunters for the ivory from their tusks. They actually do not like peanuts and they do not eat them in the wild or in zoos. Elephants usually live in a group of 15 animals lead by a head female. 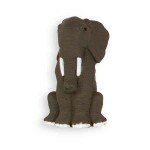 Print the African Elephant Character Card! African Elephants are fond of water and enjoy showering by sucking water into their trunks and spraying it all over themselves. 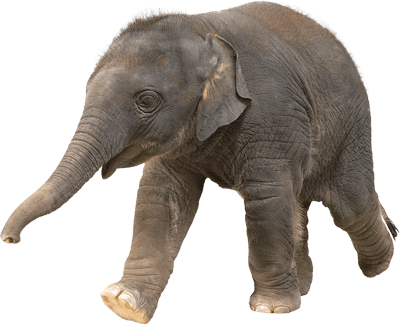 An African Elephant's trunk contains about 100,000 different muscles and is used for smelling, breathing, trumpeting, drinking, and grabbing. African Elephants can consume up to 300 pounds (136 kilograms) of food in a single day.